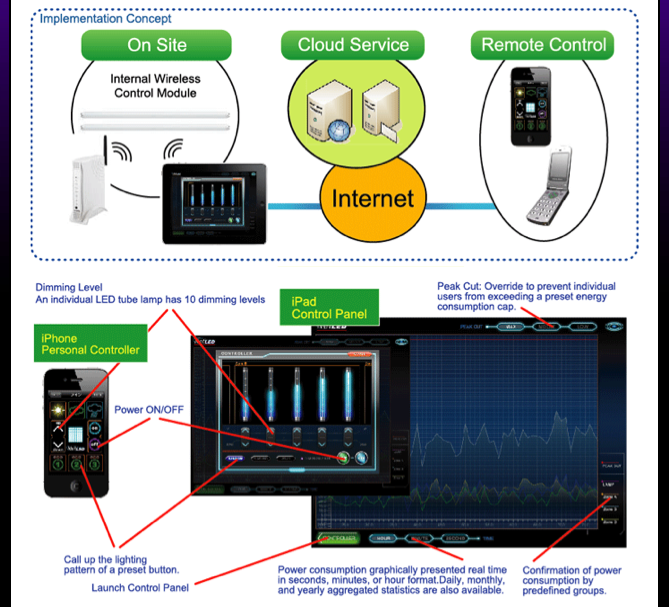 First, Japan got the world’s first connected home garden device, and now it’s time for Nippon to get the world’s first cloud-based LED lighting system. 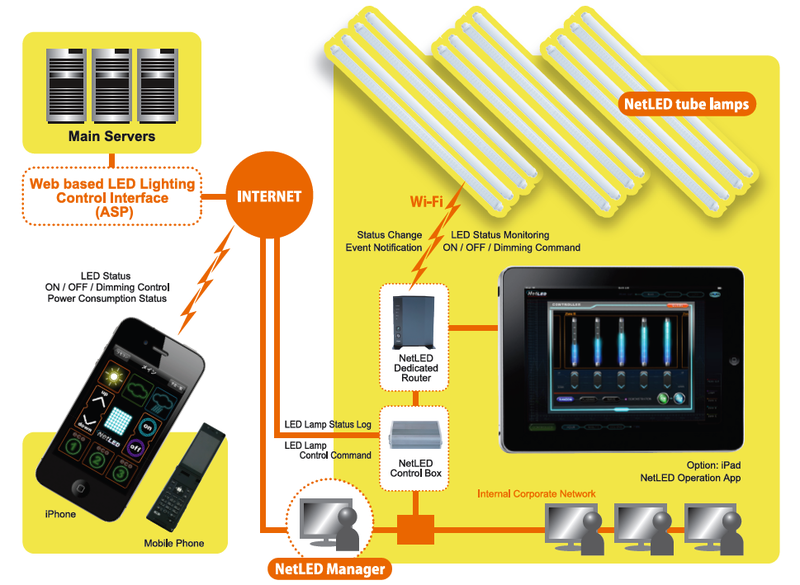 Developed by Tokyo-based lighting tech startup Net LED Technology Corp., the so-called NetLED system will go on sale in Japan on February 20 (here‘s the company’s English website). The 40W lights, which have a 40,000-hour lifespan, come with built-in Wi-Fi: users can control each tube over the web after installing the NetLed app on a smartphone, tablet, or computer (the iPhone app is already out, while iPad and Android apps will be released this summer). It’s possible to dim the lights (each tube has 10 different dimming levels) and to turn them on or off. Users can control individual, multiple, or a set of lights (which can be located in separate rooms) via the app, which also offers a timer function. The system also makes it possible to track energy usage in real-time and to automatically aggregate data over an extended period of time. Net LED says that when a company, for example, uses 200 of these lights, power consumption can be pushed down by up to 50%. Using the app and Net LED’s servers is free. The system’s own costs depend on how many lights are needed: the price for the control box/router set (see above) is fixed at US$780. One Wi-Fi-enabled tube (US$260) can be connected to up to three NetLED lights without a Wi-Fi module (those lights cost US$180 each), resulting in sets of four lights (as you can see above).